A group of New Zealand parents are calling for guidelines to be drawn up around the use of digital technology in schools. The group, most of whom have professional backgrounds in health and education, believe that the use of digital technology in schools can have great potential for learning, but that its use needs to be purposeful and moderate. Some New Zealand primary schools have near full digital immersion, with one-to-one iPad initiatives starting even as early as Year One. Founder, Paediatric Physiotherapist Julie Cullen, said we should all feel compelled to act on this issue. “There are many different views on device use in schools, and those views may all have valid points, but this is a discussion we need to be having. While all screen content is not equal, the total time spent on devices is also important. “Schools and communities need to be working together, and asking questions – is it OK for our teenagers to spend ten hours or more on a screen per day? Because with 4 or 5 hours of school use, a few more for homework and then recreational use, that’s not an unusual amount. Is it OK for primary students to do most of their work learning on screens, another hour for homework, and then a few more for recreation? 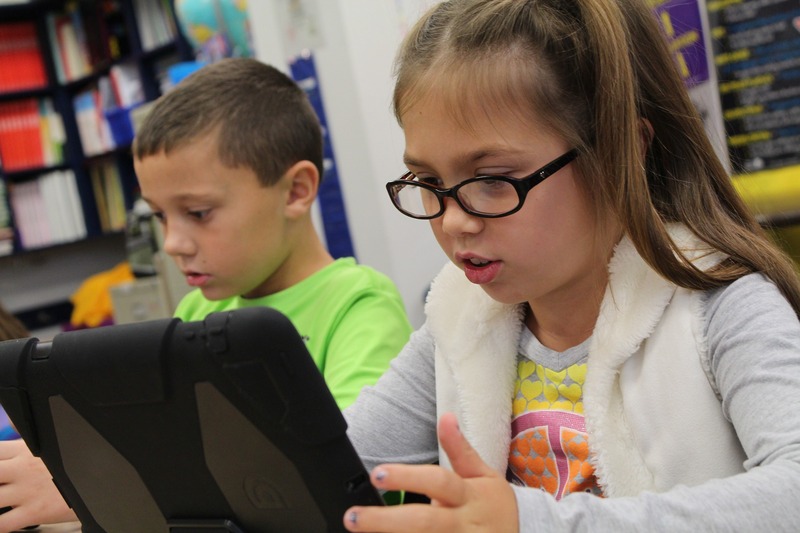 Do our 5-year-olds need one-to-one iPad initiatives?" Cullen posed. “To have children using screens for several hours at school and then to say it’s their parents responsibility to make sure they have enough balance is an issue. Particularly when schools are asking for children to bring a personal device with them and then to take it home to work on. Schools and communities need to work together to address these issues." Cullen noted that while the evidence for computer use in education is, at best, mixed, an overall review of research by the OECD shows that moderate screen use seems to have some positive impact on educational outcomes. However, high screen use in school, defined as more than 1 to 2 times per week (around 25 minutes a day) is associated with lower outcomes, particularly in areas such as mathematics and reading literacy. Surprisingly, the 2015 OECD report, as well as recent research from Australia, shows that high screen use in schools is also associated with poorer digital skills. Cullen says that even young people themselves are expressing concerns, with data from the Pew Research Centre in 2018 showing that 90% of adolescents agree that ‘spending too much time on-line is a problem for teenagers’, and over 50% report trying to cut down on their smartphone use, mostly unsuccessfully. The group have just launched a website that summarises research on the impacts of device use in education, as a resource for both parents and educators. The website, www.sensiblescreenuse.org, looks at benefits and risks of digital technology use in schools, with recommendations for educators and strategies for concerned parents to take action. There are also letter templates for concerned parents to contact the Ministry of Education or to communicate with their schools. "It is time for the New Zealand educational system to look carefully at what is best for our children, both now and in the future," Cullen said. "We need to re-evaluate the use of screens to teach basic skills such as reading and writing. We need to develop sensible limits for device access and reduce distractions for both children and adolescents. We need to allow children the space to develop social skills and relationships through real interactions with humans, not screens. "The digital curriculum could achieve great things for our children and our schooling if implemented in an evidence-based way."